Bo Gum even talked about how people cared more about his long hair than his projects in a recent interview! Well, it's time to get ready for more adorableness because his character just did the sweetest thing for Song Hye Kyo on their ongoing drama, Encounter. The series tells the story of a politician's daughter named Cha Soo Hyun (Hye Kyo) who's forced into an arranged marriage that eventually leads to divorce. 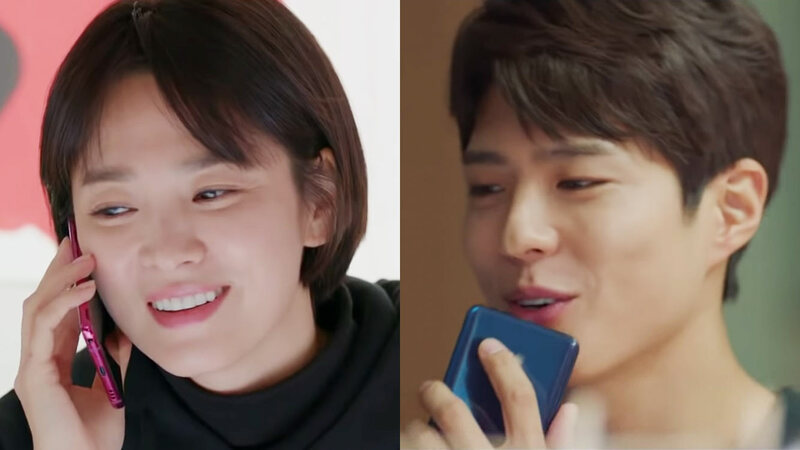 In Cuba, she meets easygoing Kim Jin Hyuk (Bo Gum) and that's when things get *interesting*! On the show's latest episode, Soo Hyun wakes up feeling really embarrassed after getting drunk the night before. She'd gushed over Jin Hyuk's looks and had even given him a drunken kiss! While Soo Hyun ~stresses~ over what happened during their drunken night out, she gets a call from Jin Hyuk and he starts singing a track called "Drunken Truth." Originally performed by South Korean artist Kim Dong Ryul, the song talks about making a drunken love confession as the alcohol gets into his system and gives him the courage to confess. I apologize for my current state/ But please don't think that I am just saying this because I am drunk/ Whenever I am in front of you I prepare myself to say this/ But I always say the opposite thing/ Turn around and regret it/ But now I will declare to you/ That I have loved you from the start/ I love you so much/ Even if my sloppy declaration/ Seems corny or unbelievable/ It is not something I am just saying.